Will Bananas Cause Weight Gain? Young children and infants are vulnerable to consequences of lack of protein. Marasmus is a severe lack of important nutrients. Food4Africa notes that people affected by marasmus look frail and thin. This is a fatal disease that causes weight loss, and dehydration. 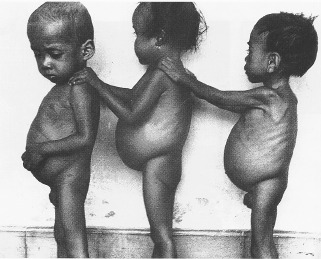 Lack of proteins from carbohydrates sources like rice, yams, and bananas causes kwashiorkor. 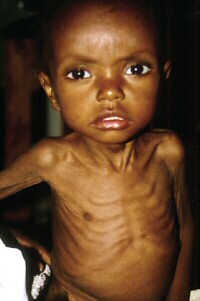 This is a severe malnutrition disease common in older children. The University of Maryland Medical center explains that symptoms of the illness include a swollen stomach due to fluid retention. It also has symptoms common to marasmus such as irritability, diarrhea, fatigue, limited growth and cognitive development as well as mental health. Research indicates that 1 in every 300 people suffers from the lack of Protein C. Similarly, Protein S deficiency affects 1 in 20,000 people. Medline Plus states that deficiency in Protein C & S is a hereditary disease leading to blood clotting. Such deficiencies are characterized by pain, redness, swelling and tenderness in the affected region. A 2009 research by A. Hoodain titled the Annals of Indian Academy of Neurology stated that Protein S deficiency causes ischemic stroke. 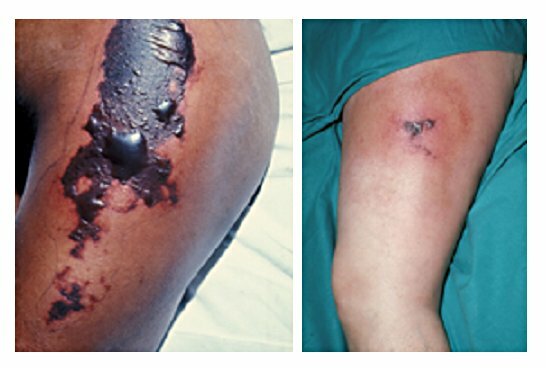 Anyone affected by Protein diseases should avoid activities that tend to clot the blood. These include bed rest, sitting for a long time in cars, airplanes and transport systems. A 2000 Research by Kotler D. P in the Annals of Internal Medicine explains that cachexia is a disease that causes the weakening of the skeletal muscles and reduction of protein. An article by JE Morley in the American Journal of Clinical Nutrition states that the condition can be fatal. It is associated with chronic diseases like AIDS, cancer, chronic kidney failure, chronic obstructive pulmonary disease and rheumatoid arthritis. It leads to weight loss and could also lead to death. Reduced protein intake is common in patients suffering cancers of the colon, stomach, liver, pancreas and biliary tract. The reduction of calories and micronutrients leads to fatigue and the negative nitrogen balance. 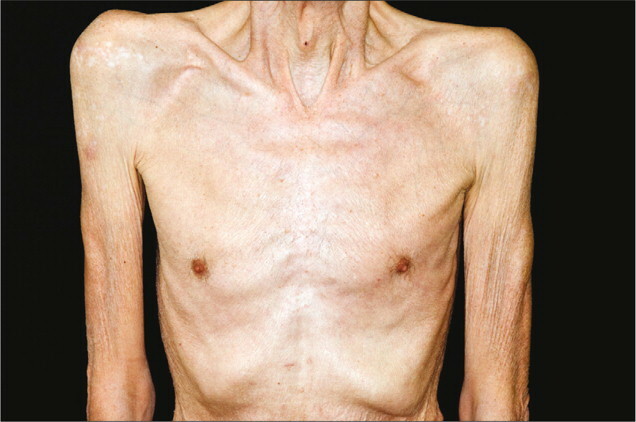 J. Ockenga in his 2005 article in Alimentary Pharmacology and Therapeutics highlights that the loss of muscles in cachexia is due to this reduced protein intakes. The use of supplements depends on the extent of the condition as well as the effect on the deficiency. Supplementary nutrition is an addition to food intake, which enhances the dietary intake. The elements are crucial for efficient protein supply to the body. However, the protein intake should not be too much; rather, it should be in just the right amount. Vegetarians and vegans need protein supplements to boost their body’s nutrient contents. Neglecting the body is unhealthy and it has medical consequences. Finding the right balance of protein is challenging hence supplements help to boost the nutrient levels creating the right balance. Consumption of foods enriched with proteins is essential. These come in different varieties and should be taken on a daily basis for a healthy well built body. Daily protein intake depends on the body’s needs, and it varies from adults, children, and sick people. There are high protein diets recommended for acute cases of protein deficiencies. This is an effective way to rebuild muscles, and it is also an effective solution for weight loss programs. High protein diets include meals enriched with foods like eggs, meats, peanuts, milk, chicken, sea foods, soy products, and fish. For vegetarians, proteins from vegetables like legumes and nuts are ideal. There are protein rich snacks that can be used to provide the necessary supply of protein. These include tasty tuna sandwich, sprout salads and soy products.